Oil on canvas (18" x 23 1/2"), 1998. Framed. Oil on canvas (24" x 18"), 1998. Framed. 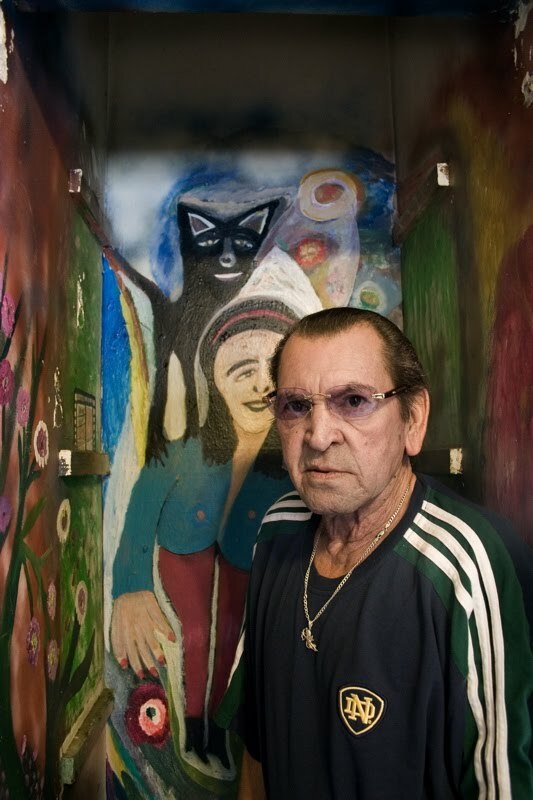 Biography Born in Cuba, self-taught painter Mario Mesa arrived in the United States on the Mariel Boatlift of 1980. Like many of the marielitos, he had been a political prisoner in Cuba, and lived a very hard life. "I was abandoned at birth. I was poor and couldn't go to school. I never played the games children play. I was always working." He started painting in the United States after being hospitalized for a nervous breakdown. "When I got sick I lived in the streets. I had always been very neat and clean, but everything changed. When I got better I had to help myself. I started painting to give something back. Thanks to painting I got better." We have been informed by Mario's family that he passed away in 2016. When Mesa was nine he packed groceries at the village bodega, but he made more money on Sundays collecting pennies strewn ceremoniously in the church plaza by the godparents of those just baptised. ‘I tried to go to church three times, and three times the priest threw me out because I had no shoes. 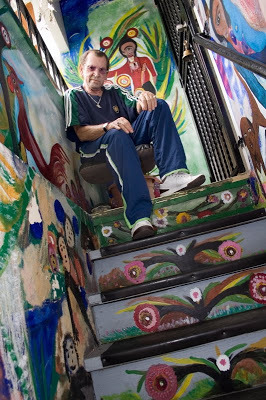 At 19, Mesa went to work at the beachside casino resorts near Havana City – El Gato Verde, Antiqua Chiquita, and the Faro Club; the legendary sybaritic excesses of the high life he observed put him in good stead when he later handled his own mujeres (read ‘prostitutes’) in Miami’s Little Havana. In 1959, Castro came to power and Mesa went to work as an electrician for one of the new socialist government’s bureaus, the Technical Float of Maritime Works. He married Victoria Florin Herrera, a Jehovah’s Witness, and they had a son and a daughter. Above text used courtesy of Raw Vision magazine.